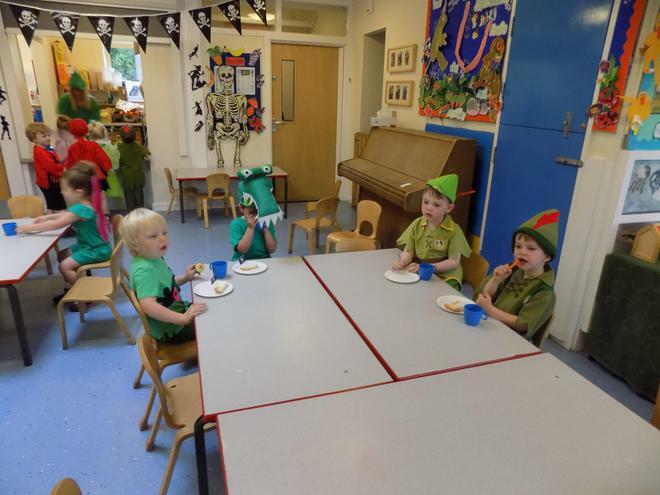 Today we are holding our annual 'Fantasy Day' our theme this year is Peter Pan. 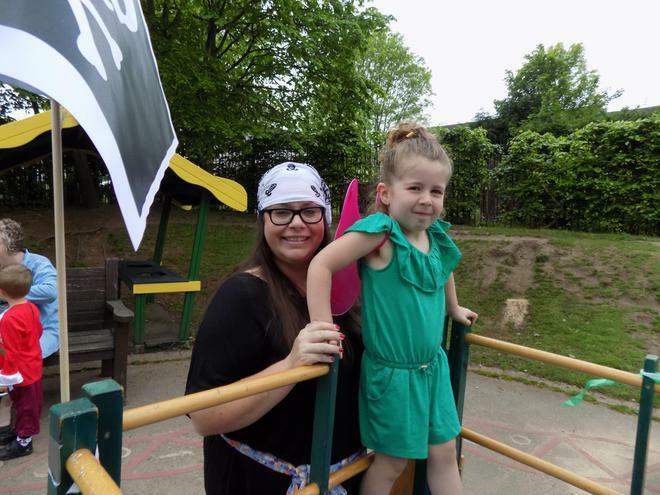 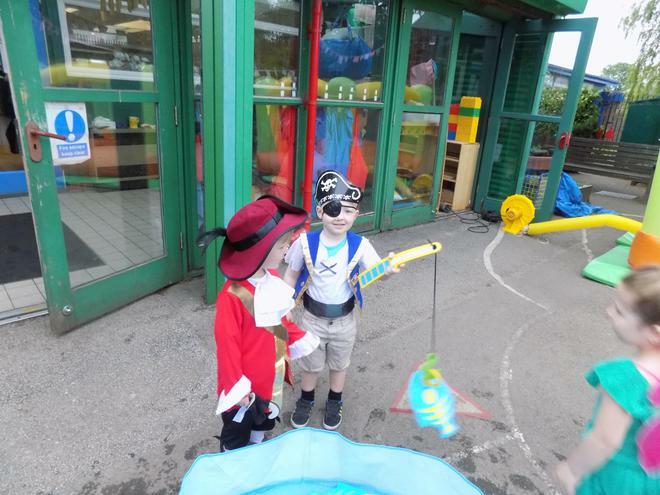 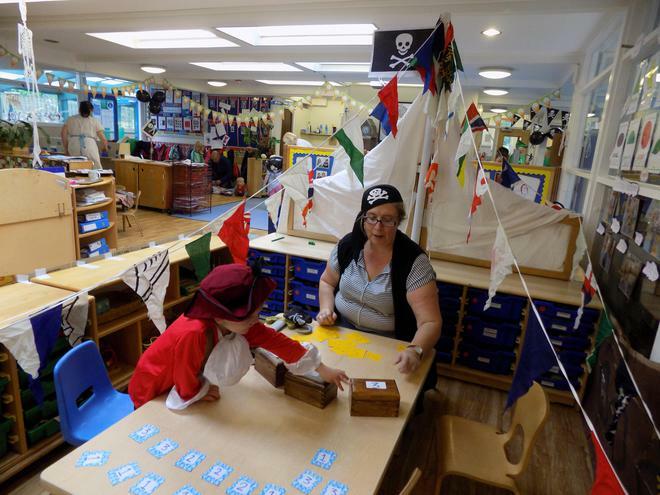 The nursery is full of pirates, lost boys, Peter Pans, Wendys, Tinkerbells, Captain Hooks and Crocodiles! 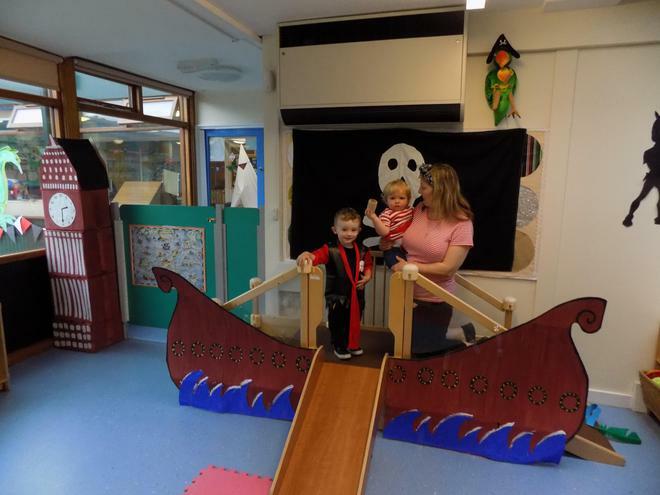 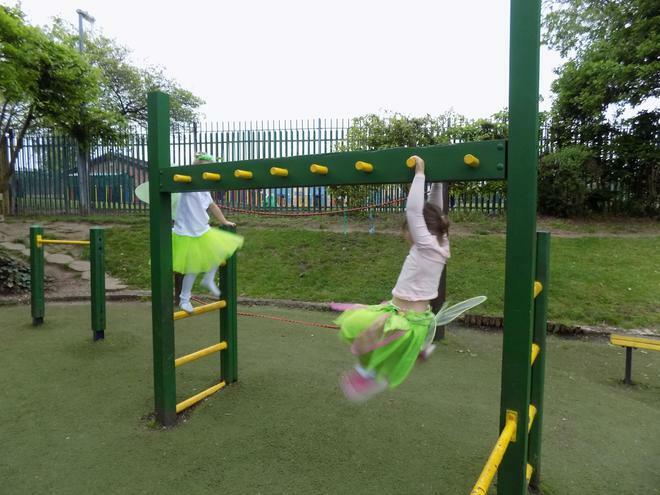 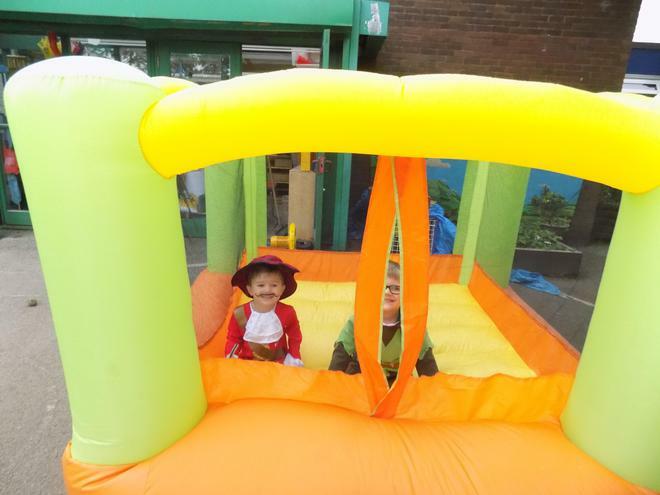 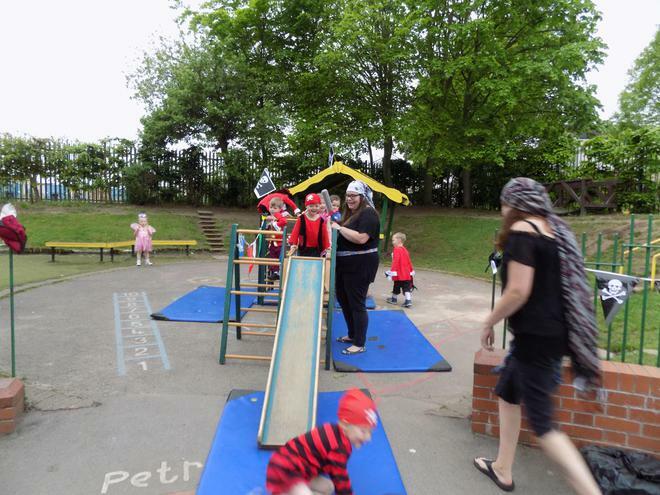 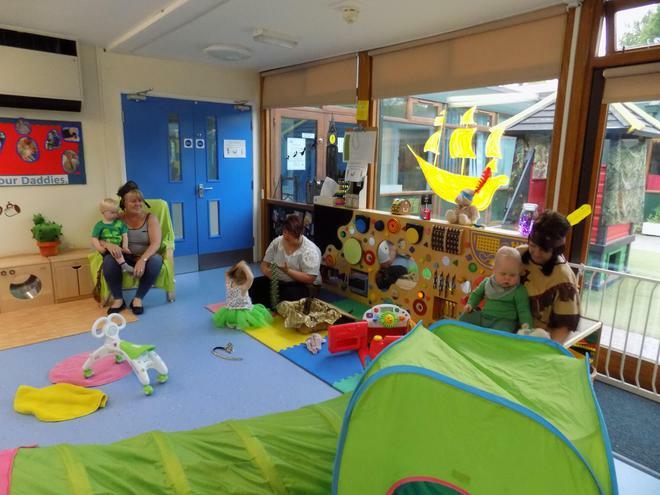 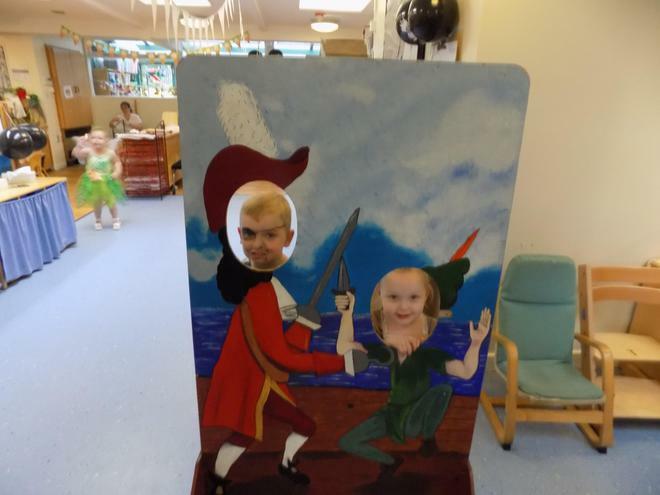 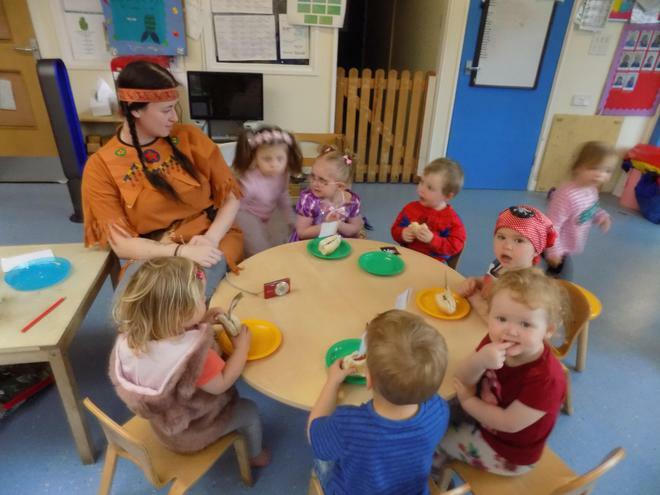 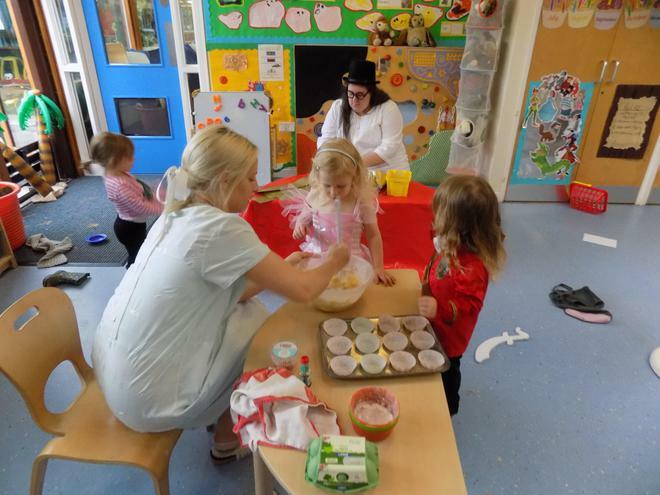 All our activities today are linked to the Peter Pan story and all the children are having great fun in the baby and toddler rooms and in our nursery school.